Annapurna Breakfast Tour is the stunning short day trip that takes in the glorious region of Nepal, offers with the tasty breakfast with the dazzling view of Annapurna range. Searching for the early morning, short and sweet trip towards the Himalayan region of Nepal? If yes, then Breakfast of Annapurna provides with beautiful features to experience the best moments of the lifetime. The travelers holding short time interval and willing to spend time within the Himalayas of Nepal, Helicopter Day Tour for Breakfast at Annapurna welcomes to experience the amazing moments of lifetime. Breakfast at ABC will let to experience the world class view of the great snow-capped mountains. Annapurna Region is itself the adorable destination of the number of trekkers. Every year a huge number of travelers get in touch with the natural wonders of this charming region. Why Annapurna Base Camp for Breakfast? Annapurna Base Camp is successful in attracting the adventurous lovers from different corner of the world. The magnificent views of the mountains from ABC are naturally gifted. The interesting helicopter flight to Annapurna Region and the breakfast at ABC are beautiful highlights of this short trip. Breakfast at Annapurna is completely a luxurious trip around Annapurna region that bestow with the opulent features of natural wonders. 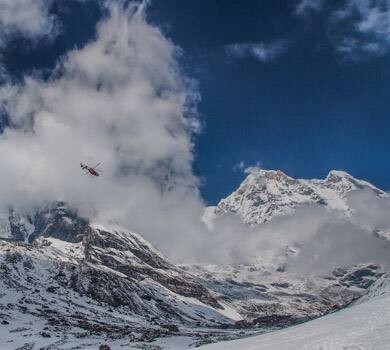 Helicopter tour for breakfast at Annapurna Base Camp offers with the mesmerizing views of Mt. Annapurna, Mt. Manaslu, Mt. Fishtail, Mt. Dhaulagiri, etc. Along with this, the scenic views of mystical villages, unique landscape, green hills, etc. up above through the clouds includes extra interesting features in the day tour of Breakfast at Annapurna. This will be the luxurious way to witness the glorious region with sitting in a comfy environment along with coffee/ tea in front of the table. The morning flight from Kathmandu/ Pokhara to Annapurna Base Camp for Breakfast will be surprising that takes a couple of hours to reach the destination. 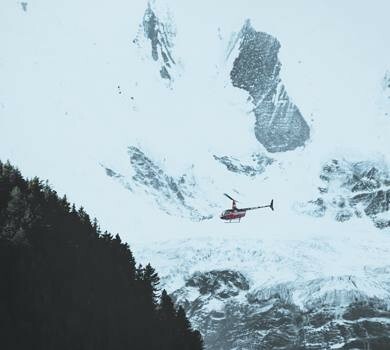 The few hours helicopter flight to ABC can be extended for extra connecting activities like trekking, hiking, etc. as per the travelers' interest. For a delightful, astounding and luxurious tour for breakfast to Annapurna Base Camp via Helicopter the climate condition plays a prime role. The season of Nepal usually allows for helicopter tour throughout the year (depending on respective day weather condition). The expert team of Massif Holidays highly recommend for Annapurna Breakfast Helicopter Tour within the month of March, April, May, August, September, October, November and December. Under the guidelines of Massif Holidays, the crew member helps to make a breakfast tour to Everest too fascinating and unforgettable. 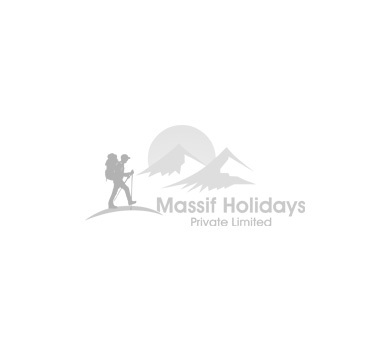 Massif Holidays provides with the best services and guidelines for Breakfast at Annapurna. The perfectly organized Annapurna Base Camp Breakfast Tour in charter basis for families, group of friends, couples and individuals. Heartily welcomes! Feel free and comfortable to contact the expert team of Massif Holidays for luxurious and fabulous Breakfast Tour to Annapurna Region. Luxury tour to Annapurna Base Camp. Aerial View of Annapurna Region. Tea/coffee and light breakfast at Annapurna Base Camp. Due to poor visibility, bad weather or any technical problems helicopter services may get delayed for some hours or for some days (also can be happened in the good season). Always expect the unexpected weather in the mountain region. During this period, the team of Massif Holidays try their best to overcome with the unusual circumstances with providing the best to you.